You know, it's been so long since I've blogged, I was worried I'd forgotten how to do it. Nice to meet you, blog, I'm Elana. Okay, FINE. Enough dad jokes! 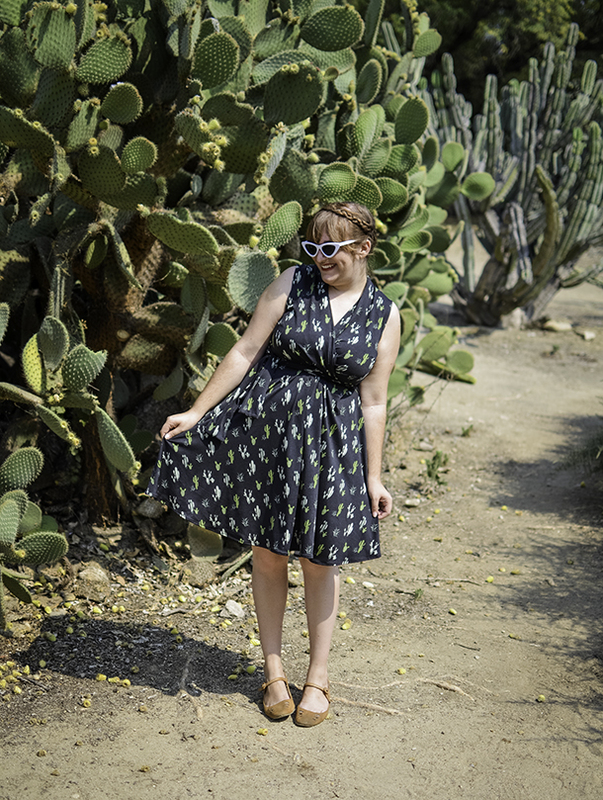 I'm back with a post for the first time in a long time partially because I miss writing about the mundane things in my life, but mostly because I love this dress and felt it needed a proper post. I've been wanting to try Karina Dresses for a while now, and I'm so excited to get the chance to work with them. WOW did this dress live up to the hype! If you're unfamiliar, Karina Dresses makes clothes in super flattering shapes in a breathable material that doesn't wrinkle. I know them best for their wrap dresses, and I've been wanting to try one desperately. 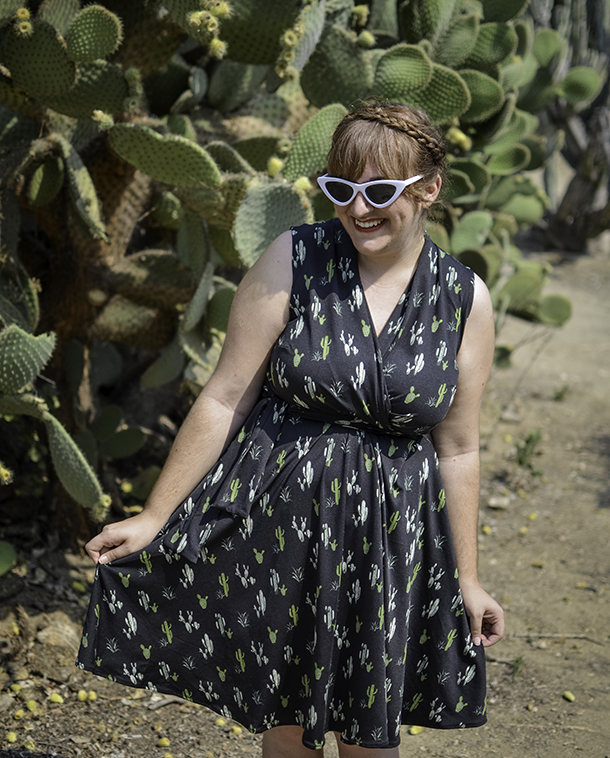 They just launched their new Western Collection, and I couldn't get over how adorable this cacti print was on the signature Ruby faux wrap dress. I cannot stress this enough: this dress is a dream. It's always a relief when an item I'm gifted is something I like, but it's even better when it's something that I then insist on wearing at least once a week. 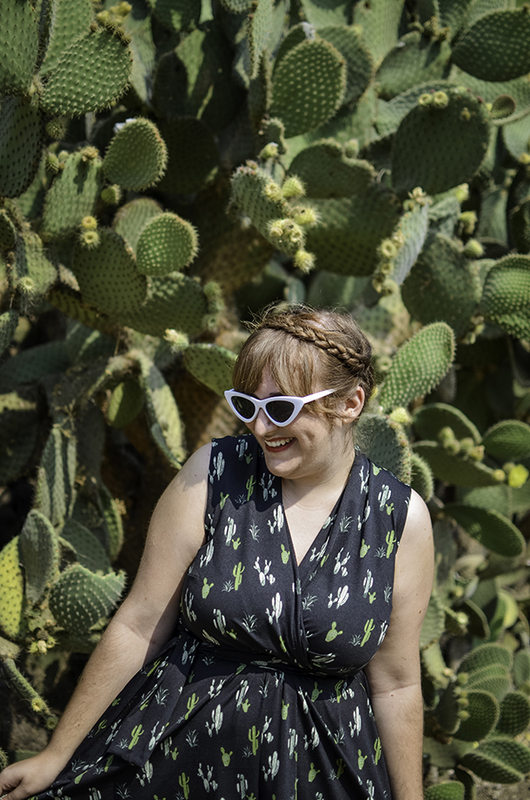 This dress is so comfy and lightweight, and it was the perfect thing to pack when I went to the Midwest last week. I'll be honest and admit that I didn't read the descriptions on the website well enough and thought it was a real wrap dress, and I was slightly disappointed when I realized it wasn't. Honestly, though? It ended up being a blessing in disguise. Because it's a faux wrap dress with a higher neckline, it actually works great for larger busts, which is something I am always on the lookout for. As for fit, the dress runs true to size, but because it's so stretchy, there's definitely some room to play. The size chart is a little tricky due to the nature of it, and I found myself in between sizes. The chart indicated that I might be a medium, but since I'm usually a large, I decided to play it safe and order the large. It ended up fitting perfectly, but because of the material, I think I would have been okay with the medium as well. Moral of the story? This is the kind of dress you can eat in, and if you ask me, that's the best kind of dress. 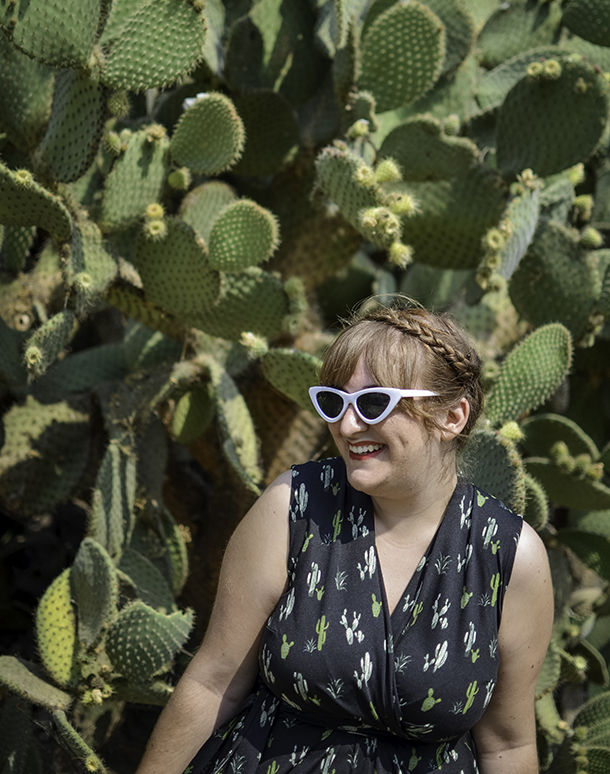 I may have made Jon come with me to the Fullerton Arboretum and stand under the beating sun in the middle of a heat wave to get these photos, but I couldn't resist. 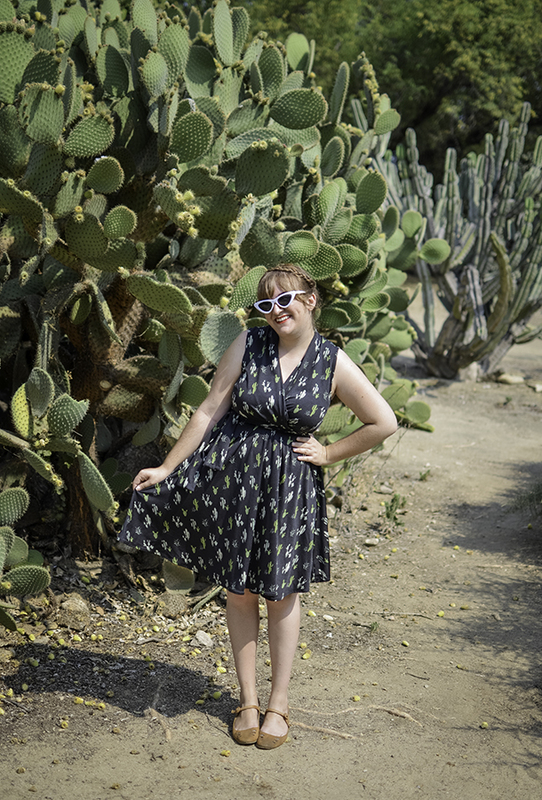 This dress NEEDED to be photographed next to an actually cactus! You can't blame me, right? Always fun to see your posts. You look lovely, as always. One of the most interesting articles I found in your website.